Highlighting some historical moments in art whether it be in music, writting, acting or fine art. In 1994, Dutch cellist and conductor Frieda Belinfante gave an interview to the United States Holocaust Memorial Museum in Washington, D.C. She’d been invited to do so by the museum’s European representative, Klaus Mueller, who’d recently screened a film about gays and lesbians during the Holocaust, and was tasked with bringing their stories to light. The rise of the Big Band during the early 1930s signaled a major shift in American popular music. Prior to World War I, turn-of-the-century rhythms had supported tame social dances such as the polka and the waltz, but after the war, the rise of more suggestive couplings such as the foxtrot, lindy hop, and jitterbug required more complicated arrangements and a bigger sound. Swing music arrived as the most recent offshoot of New Orleans Jazz, but the hard 4/4 time of traditional jazz was still too improvisational. Unlike jazz, swing required compositions and arrangements, giving a greater role to arrangers and conductors, and the tunes themselves were more lithesome and springy, focusing on sections of orchestras intermingling rather than just soloists. Those were the words of 33-year-old Zane Grey, who was writing in his journal shortly before leaving on his honeymoon. He had married Lina “Dolly” Roth, and while he didn’t have the wherewithal to pay for an extended honeymoon, Dolly did. And she wanted to go places her new husband really didn’t—the Grand Canyon, Colorado, and California. In other words, the West. Palm trees are such a ubiquitous feature of life and art in Southern California that we take them for granted. 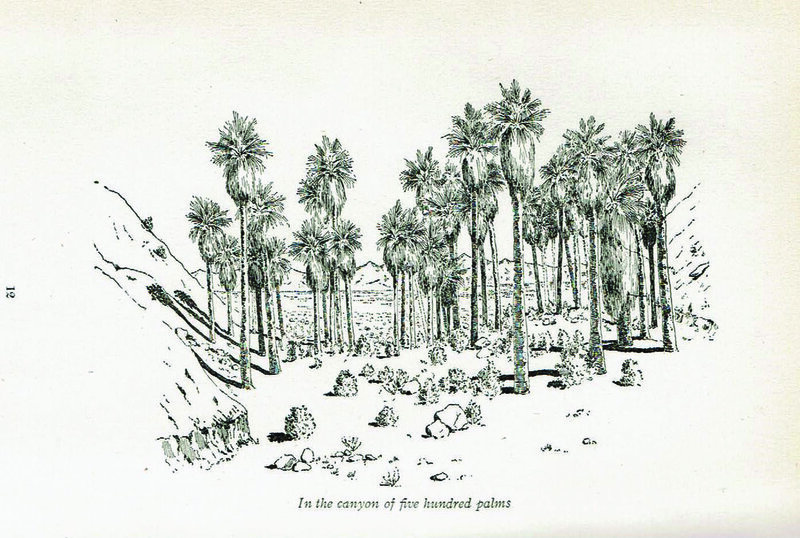 But the fact is that only one species—the California fan palm—is native to the region. Known to the scientifically minded as Washingtonia filifera, they grow in scattered and sheltered oases where they have access to water. And the area around Palm Springs can boast the greatest concentration of the trees in the nation. When prominent Palm Springs resident Arthur Lyons died in March 2008 at the age of 62, his readers were as shocked as his family and many friends. Besides co-founding the Festival of Film Noir, Lyons had put in time as a local restaurateur and city councilman. But he had first made his name as a crime novelist during the 1970s, thanks to his creation of P.I.—that’s private investigator, or private eye—Jacob Asch.